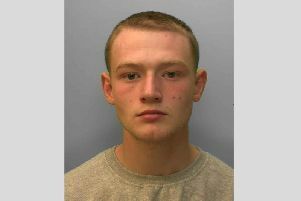 Police want to speak to a man with links to Horsham and Crawley in connection with an investigation into threats to kill. Police are trying to trace Joshua Maguire and have appealed for information into his whereabouts. A spokesman for Sussex Police said: “We would like to speak to him in connection with reports of threats to kill a person known to him. “Maguire is white, 6’, of slim build, with brown eyes and short brown hair. Anyone with any information is asked to contact 101@sussex.pnn.police.uk or ring 101 quoting serial 666 of 01/09.